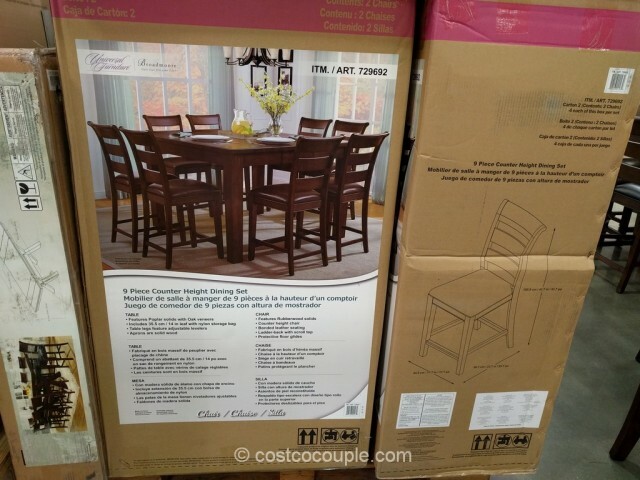 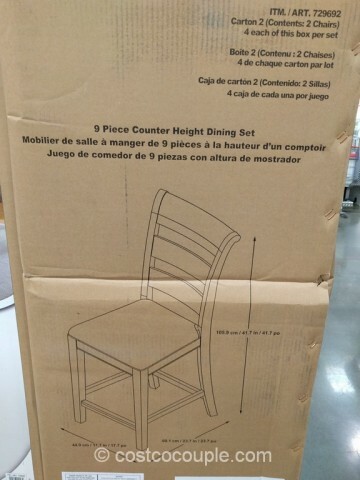 The Universal Furniture 9-Piece Counter Height Dining Set comes with a square table and 8 chairs. 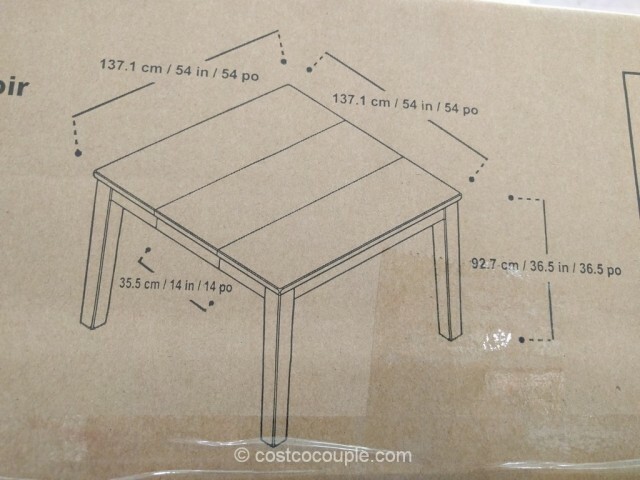 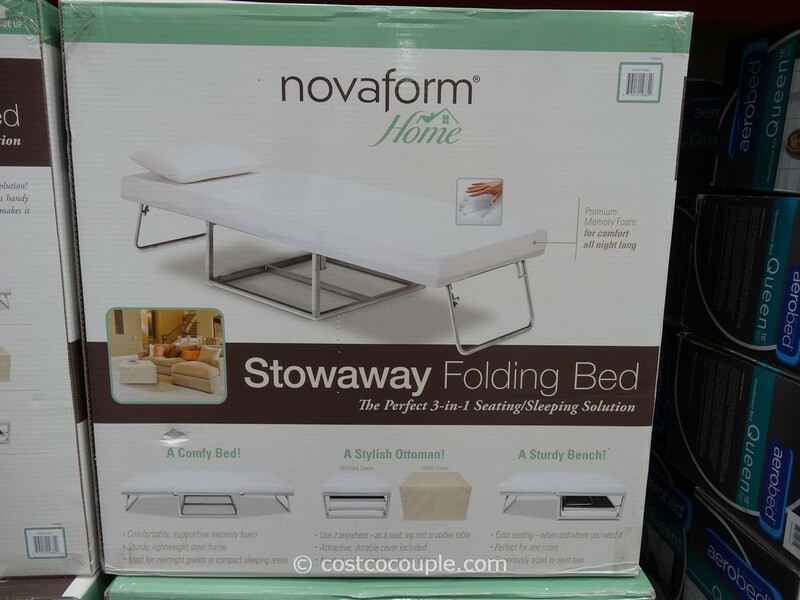 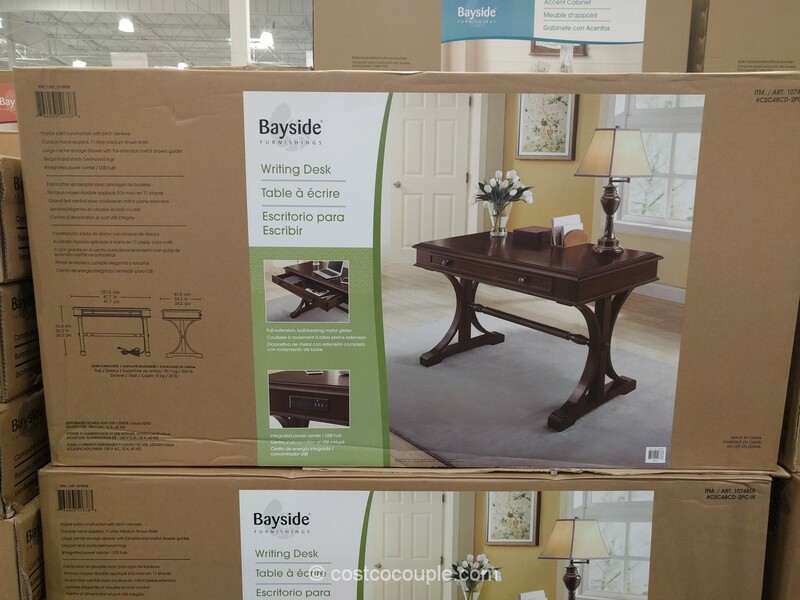 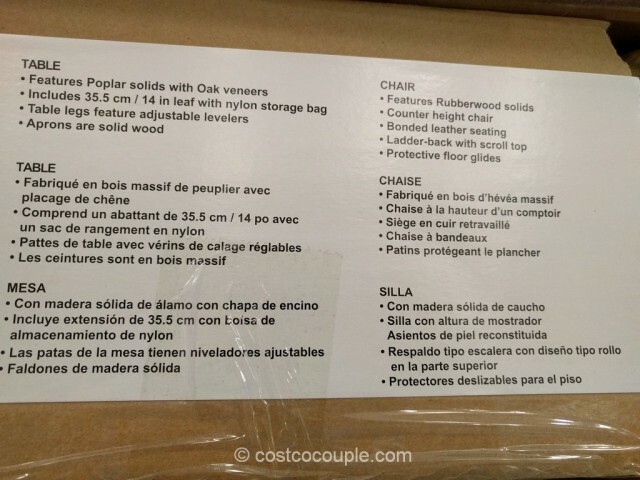 The set includes a 14″ leaf which expands the table from 40″ x 40″ to 54″ x 54″. 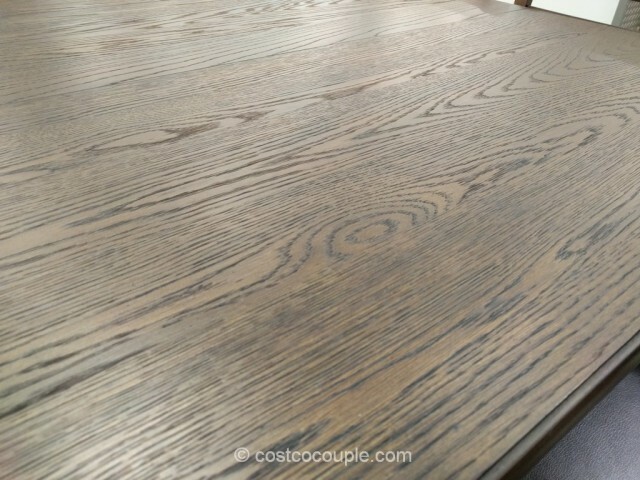 The table is constructed with poplar solids and oak veneers. 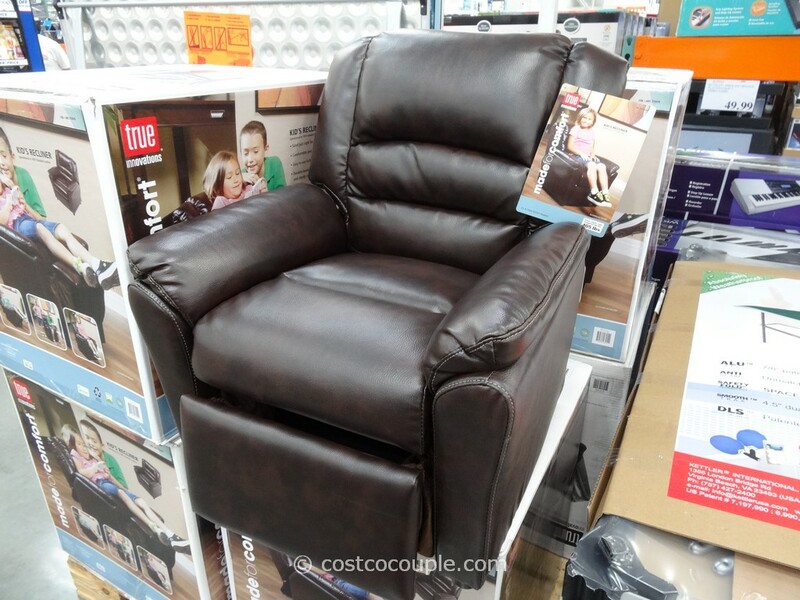 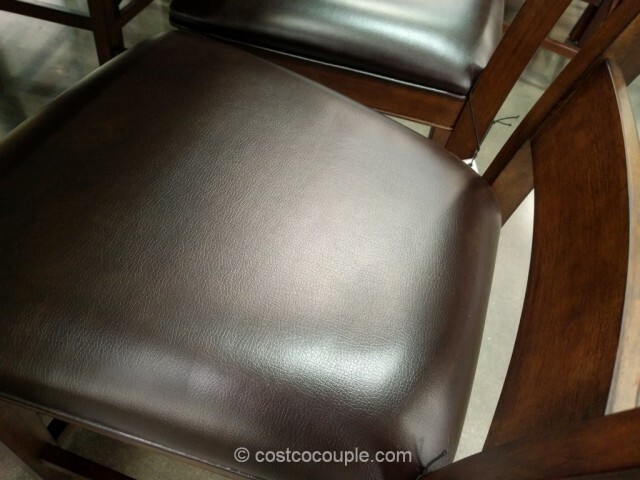 The chairs are constructed of rubberwood solids and they have bonded leather seats. 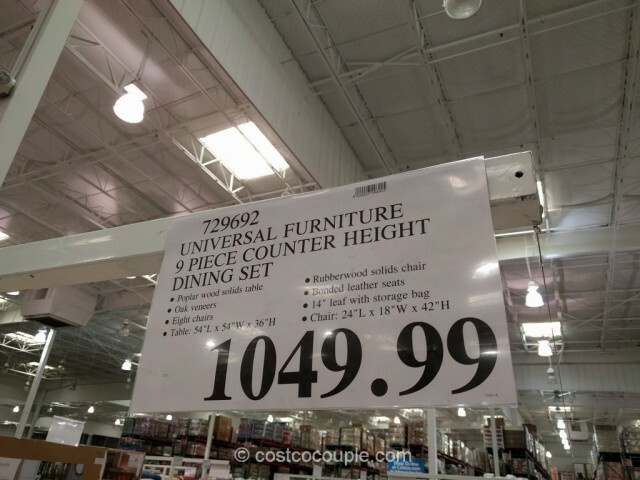 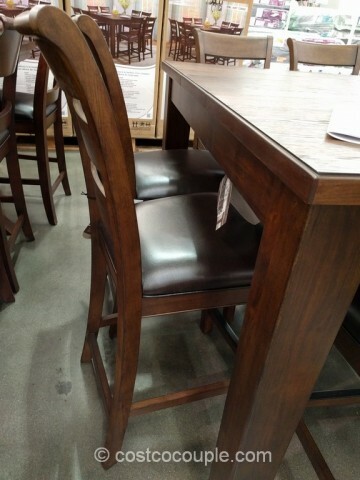 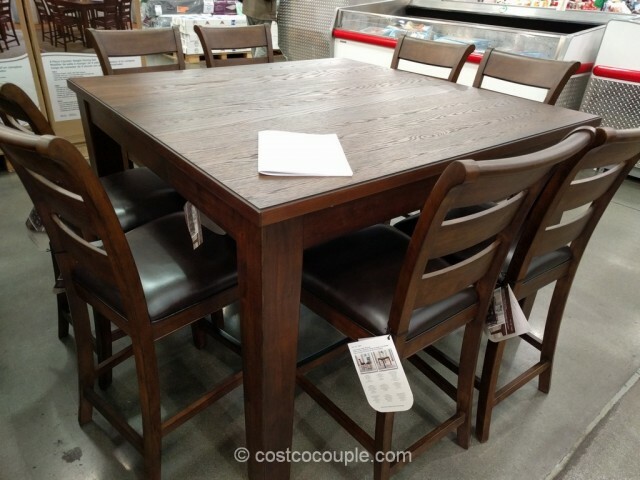 The Universal Furniture 9-Piece Counter Height Dining Set is priced at $1049.99.